Peels are back in stock again! Our new supplier of peels is Dale Hipkiss, a local artist and woodworker, who hand-makes them in his studio in Stirchley. You may know Dale from Artefact, where he works, and as part of the duo Hipkiss and Graney. The peels have been tested and approved by our bakers and are now on sale for £18 each. 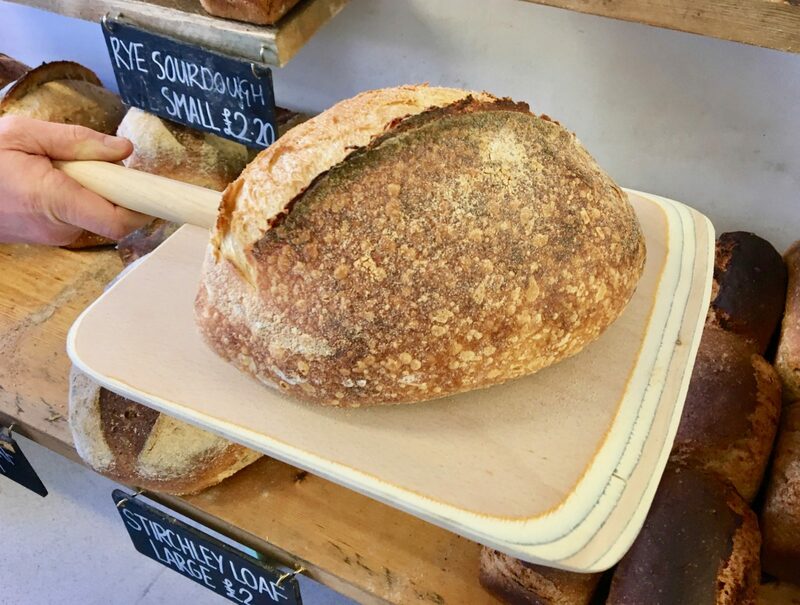 If you’re struggling to get your sourdough off the stone, come in and buy one! We’re well into the summer holidays now and August is just around the corner. 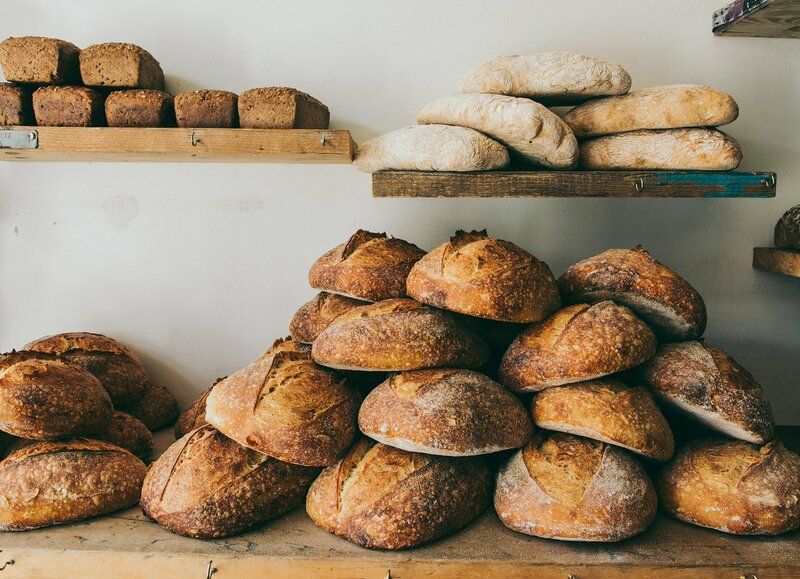 August is always a time when Loaf slows down in the bakery, we have less courses and we take some time to reflect on how the year is going. You may have seen our last post; we’re taking a week off at the end of August. 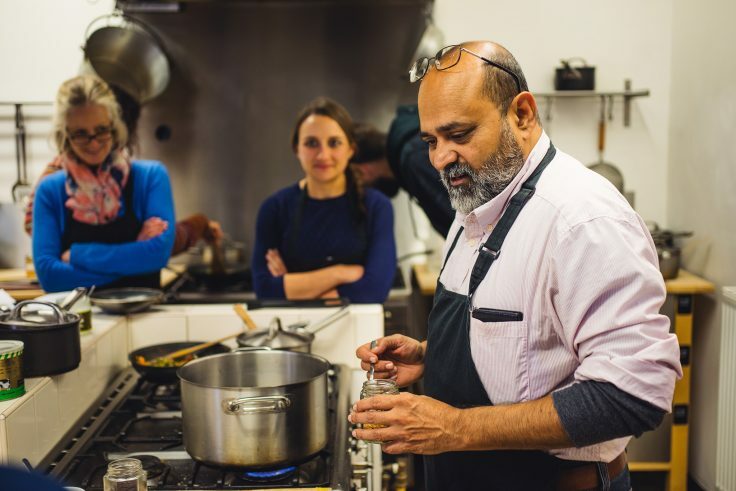 We will be closed Tuesday 28th August until Friday 31st Aug, opening up as normal on Saturday 1st September and for the Thaali course on Tuesday 28th August. We’re hoping to spend the time having a bit of a rest and all being well, giving the place a lick of paint – do you have any local recommendations for painters and decorators? We have a handful of courses taking place and all of the following have availability – it would be wonderful if you’d like to join us on the and learn skills for life. 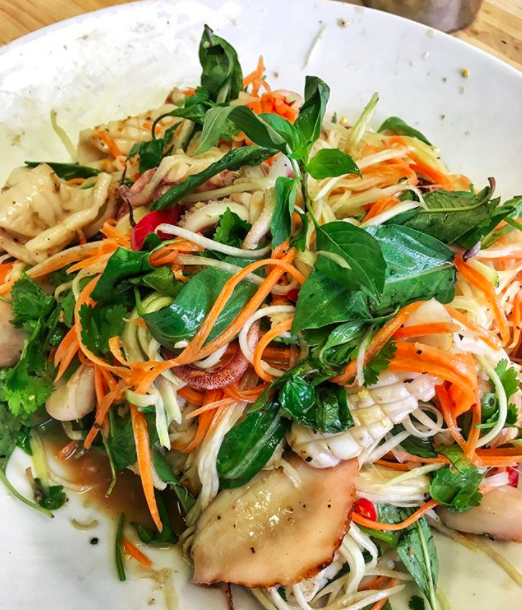 We’ll be making Som Tam Thai (spicy papaya salad), Nam Pla Ra (fermented fish relish with fresh vegetables), Pla Tort (deep fried grouper with Nam Jim sauce), Massaman beef curry and Yum Makeua Yao (smoky aubergine salad with egg). Learn the art of dough lamination and creating classic sweet treats such as brioche, chelsea buns, cinnamon buns, and hot cross buns. You’ll also be turning your laminated dough into four classic viennoiserie – croissants, pain au chocolat, pain aux raisin, and danish pastries. 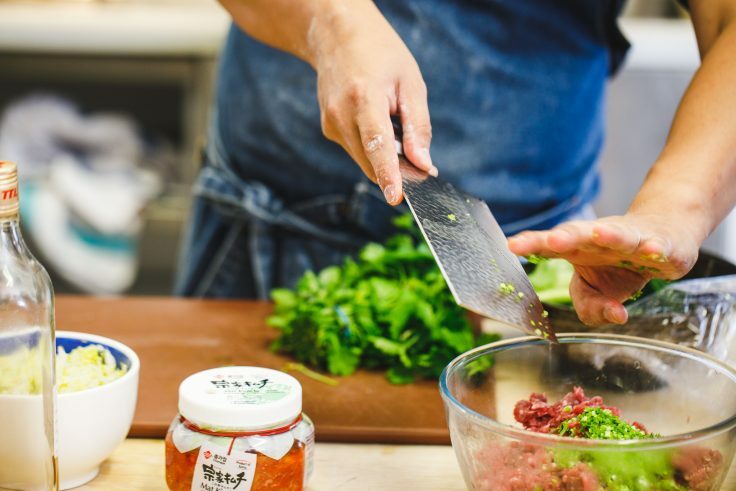 Learn how to make alkali noodles from scratch and use them in two classic Asian noodle dishes; Chinese dandanmian and Japanese ramen. 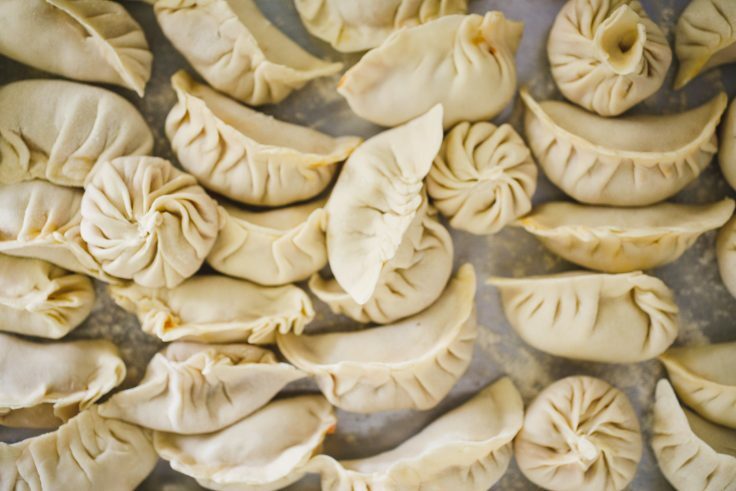 Dandanmian is a Sichuanese street-food staple, quick and easy to prepare. Tonkotsu ramen is the slow simmered pork bone broth originating in the south of Japan and is now beloved globally. We’ll make all the usual accompaniments, the braised pork belly, marinated egg and black garlic oil. Thaali is a meal made up of a selection of vegetarian dishes served on a platter. In Kerala it is known as Sadhya (banquet), traditionally served on a banana leaf, often in large quantities; for weddings and other special festivals and celebrations. Typical dishes include rice, daal, saambar, vegetable stir fries, papad, curd (yoghurt), and chutney or pickle. The photo is Lap teaching on our Bao course, photo by Jack Spicer Adams. 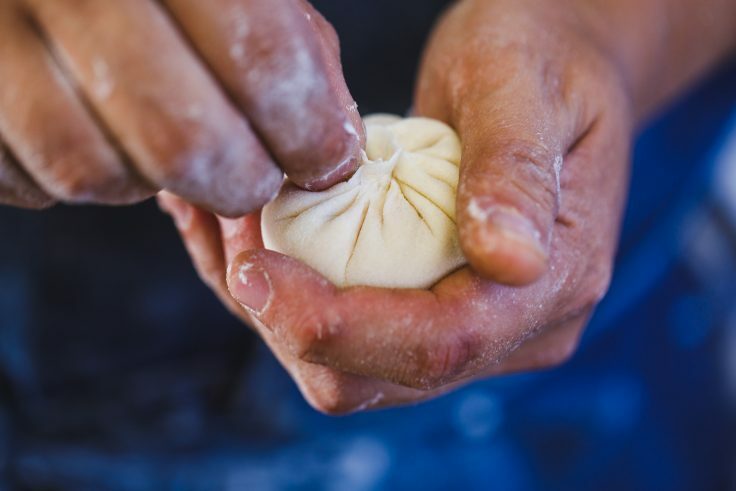 Last month we had our brilliant photographer Jack Spicer Adams in on our Chinese Bao & Dumpling course by Lap-fai Lee. Here are some of the photos – mouthwatering! 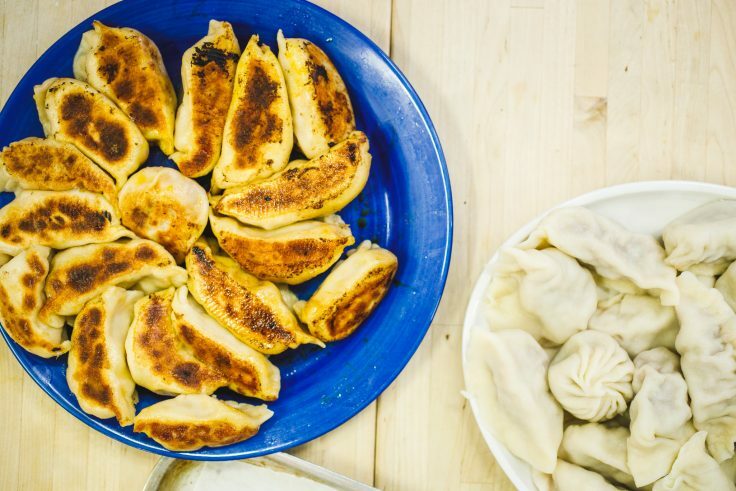 The next class is on Weds 5th September and there’s only a couple of places left so don’t wait if you’re keen to learn how to make Chinese Bao & Dumplings. It’s Monday – so we are CLOSED. Although we are all in for a team meeting this afternoon! 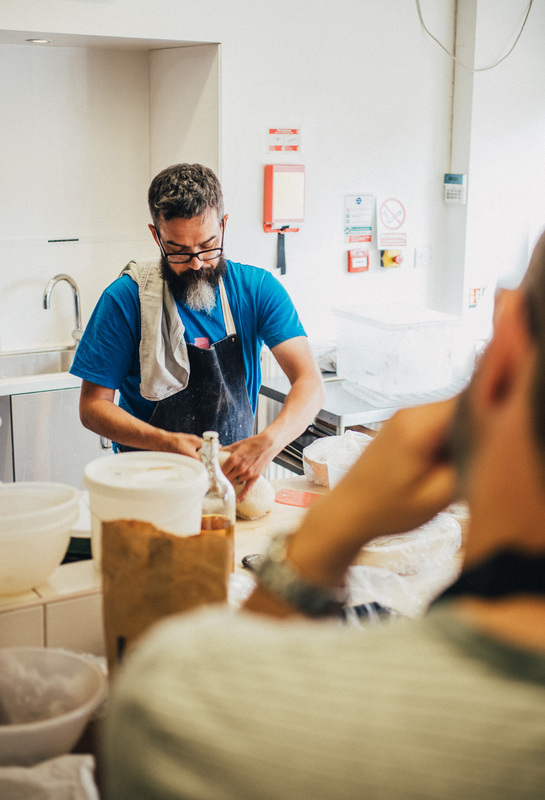 It’s a good time of year to book on to Sourdough – the bonus is we’ll teach you how to look after your starter in this (glorious) weather  we run this course once a month only, and it’s a two-session class – you’ll come in on a Friday evening to refresh the rye sourdough starter, and mix and knead the wheat sourdough loaves. 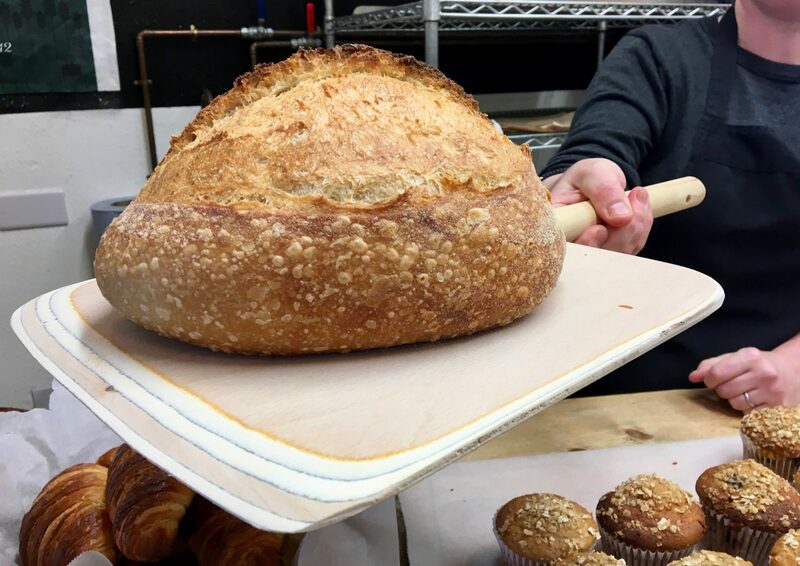 You’ll return on Saturday morning to shape your wheat and rye loaves, and enjoy a hearty brunch with sourdough English muffins or sourdough pancakes. There’s plenty of time to discuss techniques, equipment and baking to suit your lifestyle. There is of course, lots of bread to take home too! 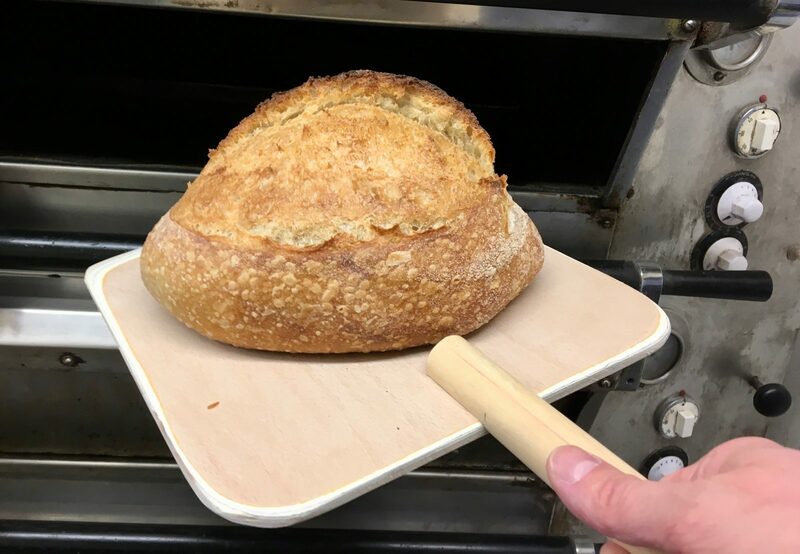 More information on the Simply Sourdough course page on our website. Hi everyone, here’s the availability on courses we’re running in June! If you’ve been to our shop, on one of our courses, or to Stirchley Community Market, you’ll have come across Cuffufle Preserves. We can’t get enough of her tasty preserves and the excitement of each seasonal variation that she brings us. At the moment we stock her wild garlic oils which are in high demand! Rachel is a friend of Loaf and resident of Kings Heath. We stock some of her range which includes homemade jams, cordials, vinegars, oils and mustards. She uses all organic ingredients – and local, where possible. Ethics and sustainability are embedded in Rachel’s philosophy, and she focuses on quality not quantity. We especially love her apple and roasted garlic chutney with cheddar and our Saturday maslin loaf. 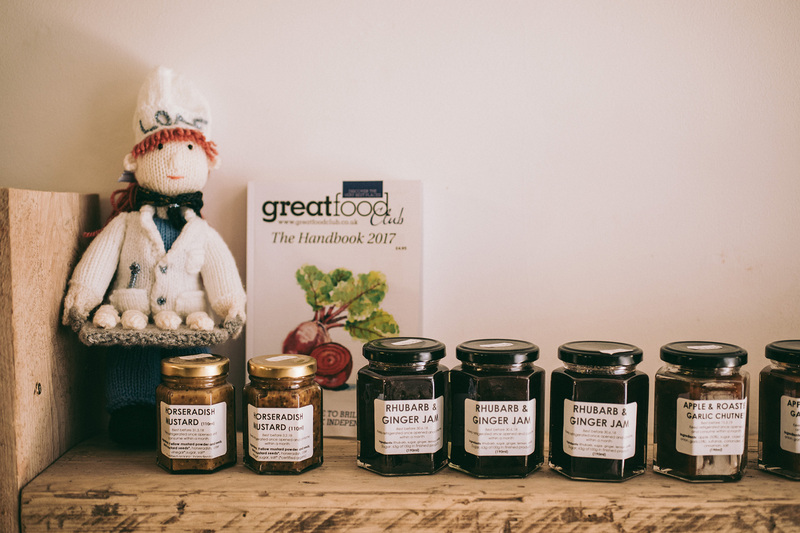 If you’d like to learn how to make preserves you can join Rachel on Tuesday 12th June or Tuesday 10th July where she will be sharing her skills. 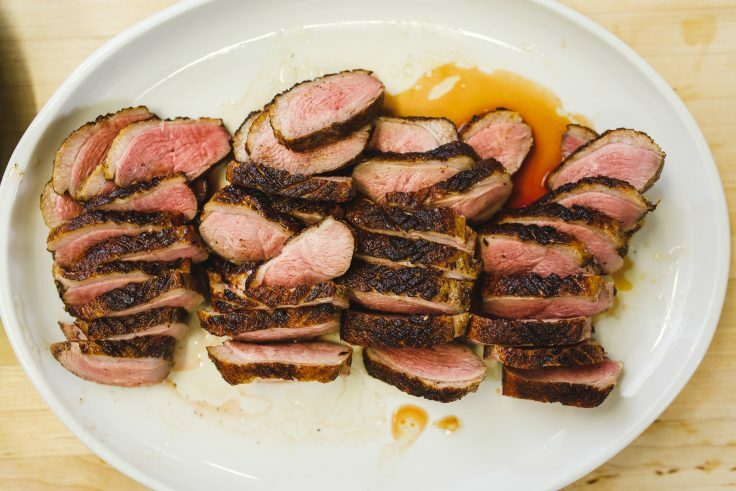 Book via our cookery school page. Thanks everyone who came down to Lap’s #MEGAFISH Seafood Masterclass at the weekend. Crab pate and bonus crab shots! The next date for this course is Saturday 16th June and there are places available if you’d like to join us. Book via our website. We have places available on our brilliant Japan course taught by expert Lap-fai Lee on Wednesday 25th April (three weeks tomorrow). 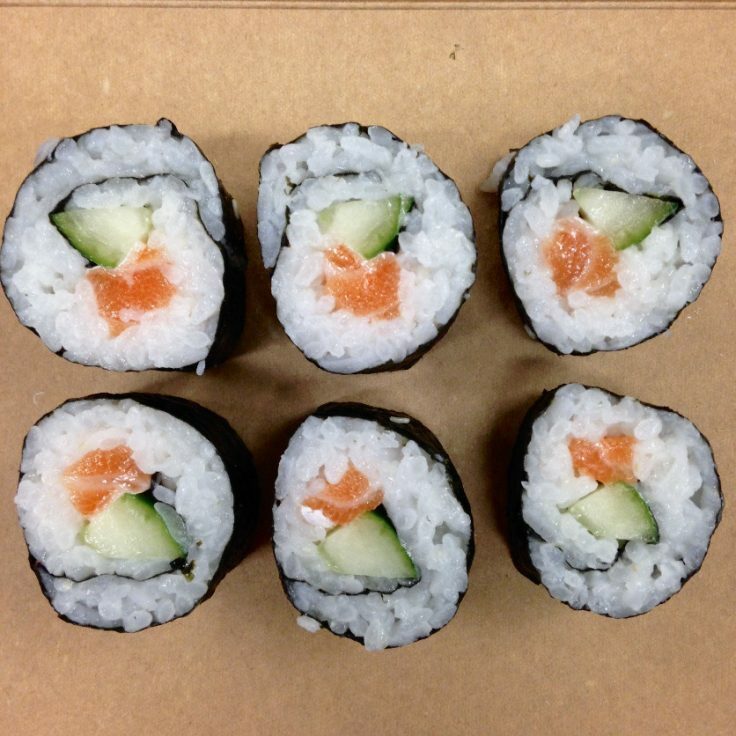 Like all Loaf courses it’s very hands-on and throughout the evening we’ll be tasting the fruits of our labour: sashimi, sushi rolls, nasu degaku, tonkatsu, and miso soup. Please note, this course is not suitable for Vegetarians or Vegans. The ingredients are gluten free. Please email us if you need to know more about the allergens in this course. Other than that our March courses are fully booked! For our full course calendar please click the link below- we have lots more dates available. ps we also sell Gift Vouchers (perfect for Mother’s Day did you say?!) available in the shop or online through our website. Spring is around the corner and we couldn’t be more pleased! Here are two lists – availability on courses published before Christmas and NEW DATES! Bookable via our Courses page on the website. Phew! We hope you find something you’d like to book on to – and we hope to welcome you soon. 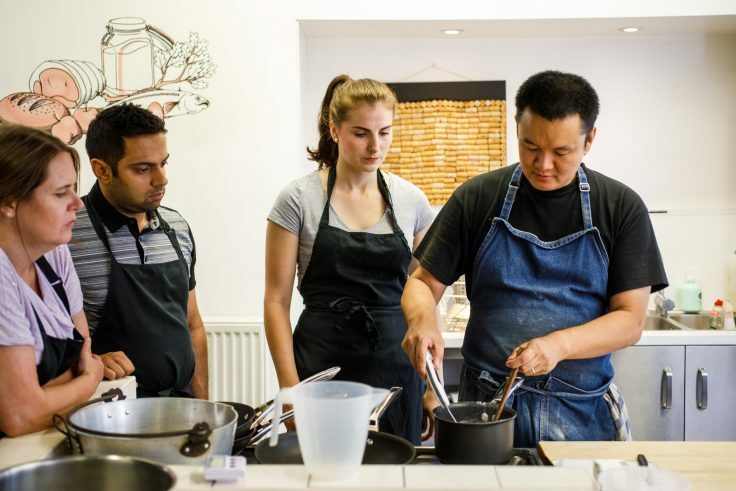 You can find full course descriptions on the Cookery School page of the website.